The Doyle Law Group, P.A. is a Raleigh Divorce law firm with years of experience and a thorough understanding of North Carolina divorce law. Our divorce and family law attorneys can provide you with the information and advice you so badly need to protect yourself and your family. Are you or someone you know facing a separation or a divorce? Are you suddenly facing issues like child custody, child support, separation agreements, alimony, post separation support and equitable distribution? You may have been served a Complaint (lawsuit) by your spouse, or you may have been handed a Separation Agreement prepared by another Raleigh divorce law firm and asked to sign. Perhaps you are just starting to research divorce laws in North Carolina and are worried about how you are going to survive, divide your property (equitable distribution) or pay your bills. First, know that you are not alone and that help is only a phone call away. Divorce does not have to ruin your life. We have helped hundreds of people just like you overcome the challenges of divorce and make a better life for themselves. We encourage you to discover more North Carolina divorce information from Raleigh divorce lawyers with the experience and knowledge to help. 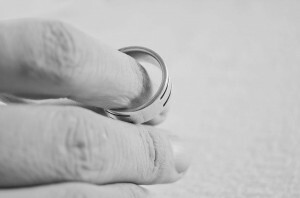 North Carolina divorce law questions need to be answered by North Carolina divorce attorneys. At The Doyle Law Group, P.A., we have over 30 years of combined experience helping people face divorce and make new lives for themselves and their families. We work tirelessly to protect our Client’s financial future and help them meet or exceed their goals. We have the experience, knowledge and ability to help you as well. If you are dealing with separation or divorce in Raleigh or surrounding areas, we encourage you to contact us for a no obligation consultation. We aim to explain North Carolina divorce law in a straight forward, practical way. Our first step is to have an initial consultation with each Client (which can even be done by phone or Skype), and in that meeting we listen closely to our Client’s situation (their lives, problems, history of their marriage and divorce, assets and goals). We also inform our Client of how alimony, support, child custody and property distribution work in practical terms, and how we can go about pressing or defending these claims. We can also discuss how the county you live in can affect your divorce case, and which divorce attorney you should choose. Finally, we provide each Client a framework of the different options for achieving their goals and solving their problems. Naturally, an initial consult will not answer every question or deal with every contingency, but we have refined our initial consultation process to provide the most valuable information to each Client at our first meeting. We feel strongly at The Doyle Law Group, P.A. that an informed Client is happier and more confident, and this makes them more powerful. You can make an initial consultation appointment at our Raleigh law office by calling 919-301-8843 or using the contact form at the bottom of the page. Once you become our Client, we work diligently to provide outstanding service, help you set and achieve your goals, and make the best use of your resources. We know you are trusting your lawyer to use their time and money wisely and we work very hard to limit the costs and fees that burden our Clients. We also know that you have many choices when it comes to selecting a Raleigh divorce attorney, and we work very hard to earn your trust and your business. However, any case requiring litigation can be expensive and is very time consuming. Costly trials can often be avoided by early preparation combined with skillful and aggressive negotiation techniques. Our approach is to challenge the unreasonable spouse aggressively, and demonstrate that we are fully prepared to go to Court, and that it will be not a pleasant experience. Often, this can turn the unreasonable, demanding or belligerent spouse into a much more reasonable negotiating partner. If not, we take them to Court and use our years of experience in family law and family court for you. At The Doyle Law Group, P.A., we believe in fighting with a purpose. This means taking an aggressive position from the beginning, but always evaluating settlement offers fairly and honestly, and making good decisions about when to fight and when not to. We do not believe it serves our client’s best interests to create fights were none exist only to bill our clients for our time in the process. That is not our approach. We believe it is important to have a skilled attorney that excels in the Courtroom, but we also believe an attorney serves the role of adviser and counselor to help our clients make decisions about when to fight and when to realize you have already won. Finally, we strive to be of assistance to our Clients in every aspect of divorce, and accordingly we work regularly with a team of fantastic counselors, accountants, realtors, appraisers and other professionals who can provide assistance when called upon. Would You Like a Raleigh Divorce Attorney Who Will Aggressively Represent Your Interests? Whether your case is complex or simple, high conflict or you are parting as friends, we stand ready to help! Call (919) 301-8843 or complete the form below, and one of our Raleigh divorce lawyers will contact you shortly.